SHRUTI SUGWEKAR, one of the most dynamic personalities in the field of alternative medicine and therapeutic healing, has been giving promising solutions to a large spectrum of people, entertaining them with her charismatic aura and illuminative approach. Shruti has been an inquisitive frequent learner, which propelled her to get herself literate with a wide variety of the most effective modalities available throughout. Her hard work and precision in pursuing her studies helped her to plot her journeys’ across the country. To name a few modalities that feature Shruti’s credentials, range from being a MASTER PRACTITIONER IN NEURO LINGUISTIC PROGRAMMING (NLP), ADVANCED LIFE COACH and being a PRACTITIONER OF EMOTIONAL INTELLIGENCE to that of studying the patterns of MOTIVATIONAL BEHAVIOR AND FACILITATIVE TRAININGS. She has been one of those few renowned personalities to acquire knowledge in a vast range of sciences. Since analyzing patterns causing changes in the human behavior has been of the keen subjects of her interest she also followed up on PSYCHOLOGICAL COUNSELING, PSYCHOTHERAPY and INTUITIVE HEALING giving life changing solutions to those who walk to her in distress and agony. 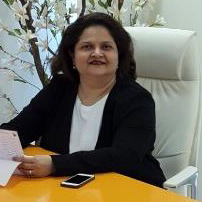 She has pioneered the art of INTEGRATED CLINICAL HYPNOTHERAPY, PAST LIFE REGRESSION AND TRANSPERSONAL REGRESSION THERAPY WORK and various other such modalities that have always been intriguing her intellect. Nowadays people consult her as an official guide in some of the most difficult subjects and controversial case studies related to Human Dynamics. Her compassionate nature compelled her to take up Teachers Training in some of the most convincing subjects. She has been one of the most popular names when it comes to delivering trainings to an array of people, which lists from school and college students, corporate clientele, entrepreneurs to those big wig names of the city. Shruti proves to be an excellent motivational orator in her areas of interest. Shruti’s listening skills and empathy quotient becomes a great boon for the most inconsolable souls, delivers solace to all of those who walk to her to count upon her valuable advice and guidance. True to her philosophy in life, she believes in conveying a mirror to the client, leading them to self-introspection, causing them to get solutions from within….this uniqueness of her justified her favoritism amongst her clientele. Shruti has always been driven by the benchmark that she kept achieving throughout her journey. She has being a SPEAKER IN GLOBAL FORUM AT ALL [ALL LADIES LEAGUE] WEF – WOMEN ECONOMIC FORUM IN NETHERLANDS AND UK IN JAN-FEB 2017. She was invited to be one of the PANELISTS FOR THE SELECTION PROCESS OF THE MBA STUDENTS, IN SIBM, one of the most renowned institutes of the country. She was invited for a talk on MARITAL HARMONY/DISCORD AT INS SHIVAJI, NAVAL BASE AT LONAVALA. She also has featured in some of the most popular newspapers, magazines and the television on frequent base. Shruti emotes, “Learning is an ongoing process and one must strive and conquer the infinite”. She believes that her solutions are not outputs of individual modalities but an amalgamation of all the knowledge she has gained till now. This brilliant and intuitive soul has the mission and vision to preach one unique message to all that “HAPPINESS IS JUST A CHOICE AND WE ALL HAVE ACCESS TO IT”. With all her enthusiasm and zestful nature she plans to trot the globe to learn and teach life in all its forms the importance of elevating one self.